Guilietta Consalvo pitches ‘Crazy for the Crown’ a reality TV show about local pageant contestants and the women who run them. MARGATE – Three sisters who are “Crazy For the Crown” pitched their non-scripted reality TV show to a panel of judges gathered at the 20th annual Realscreen Summit held in New Orleans Jan. 28-31. 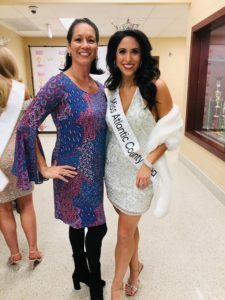 “It’s a reality show that takes a behind the scenes look at the making of the Miss Atlantic County Area/Miss Columbus Day pageant put on by a fanatical family and their Crazy 8 volunteers,” said film editor Rachel Albanese. Giulietta Consalvo, who wore the Miss Atlantic County crown in 1992, and her sister Rosanna, who was Miss Ventnor City 1984, joined sister Giovanna to carry on their mother Francesca “Bonnie” Consalvo’s legacy through the Bonnie Blue Foundation. The foundation, which is currently leasing space in the building next to St. Michael’s Church in the Ducktown section, holds the annual dual-pageant next door at Stockton University’s Dante Hall. Bonnie Consalvo started the Miss Columbus Day pageant in 1964 to bring scholarships to women in the Italian-American community, and it became an official preliminary to the Miss America pageant in the late 1970s, Giulietta said. Bonnie Consalvo ran the pageant for 37 years and after she passed away in 2004, sisters Rosanna, Giovanna and Giulietta vowed to carry on her legacy by forming the foundation and continuing to host the local pageants to support women and their educations. Today, the memorial foundation is one of the largest scholarship programs for young women in New Jersey. 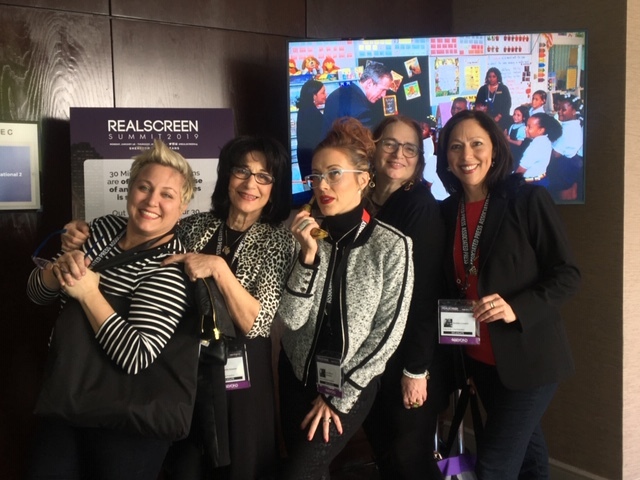 From left, Rachel Albanese, Camille Albanese, Carol Maccri, Mary Albanese and Giulietta Consalvo at the Realscreen Summit in New Orleans. Some of the local pageant title holders who went on to win Miss New Jersey and compete for the Miss America crown were Miss New Jersey 2008 Ashley Fairfield, who is still involved in Bonnie Blue Foundation along with her mother Joann Rando Fairfield, Miss New Jersey 2009 Ashley Shaffer and Miss New Jersey 2012 Linsey Petrosh. Joann Rando Fairfield, who was also a pageant contestant for Miss Columbus Day in 1971, is one of the Consalvo’s Crazy 8s. The women went to New Orleans to pitch their show concept to professionals in the television industry. Rosanna Consalvo with Miss Atlantic County Area 2019 Jacqueline Algarra. Although they did not win the $20,000 first prize offered in the non-scripted reality show concept competition, the show attracted the eye of several television executives from We TV who offered encouragement, Albanese said. “We didn’t get the top prize, but we were in the top three and got to pitch the idea to a panel of judges that included TV development executives from We, TLC, VH1 and others. It opened doors and we will revisit the pilot based on the feedback we received,” Albanese said. The pilot was filmed last year as several women competed for the local crowns. Featured in the pilot are Miss Atlantic County 2019 Jacqueline Algarra and Miss Columbus Day Julianna Rankel. The women were filmed at talent sessions and at a “meeting the moms,” Guilietta Consalvo said. “The next episode is being filmed now and takes the women through their training for the Miss New Jersey pageant, which includes our boot camp, choosing songs, wardrobe and exercise,” she said. The series is being filmed by Al Chan of New York City and edited by Albanese. 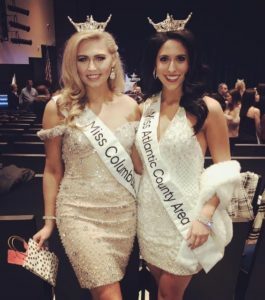 Miss Columbus Day 2019 Julianna Rankel and Miss Atlantic County Area Jacqueline Algarra. 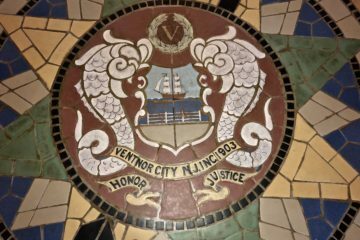 After a reorganization in 2018 that placed Ventnor artist and gallery owner David Holtzman in the executive director position of the Miss New Jersey pageant, which was held in Ocean City for many years, he announced it would move the pageant to Resorts Hotel Casino for the June 2019 competition. The pilot episode, which can be viewed on CrazyForTheCrown.com, focuses on the sisters and volunteers who first struggle with getting enough women to compete. Surprisingly, they get some very talented competitors, and immediately advise them to “get to work,” which means dieting, exercising, improving their talent and sharpening their interviewing skills. “It’s really about the Consalvo women and their volunteers who mentor these women. We have footage showing how pageant crazy the sisters are, how special and educated the competitors are, and how hard they have to work to win the crown,” Albanese said. Albanese said the pilot will be edited in the coming weeks and resubmitted to the executives they met in New Orleans.